I can’t believe this book is free, but it is! Ordinarily $49.99, the FranklinCovey Style Guide is free today for the Kindle. Grab it now. Don’t wait. I doubt it will stay free for long, so check the price before you hit the 1-Click button. 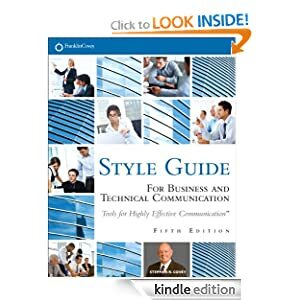 FranklinCovey Style Guide: For Business and Technical Communication can help any writer produce documents that achieve outstanding results. Created by FranklinCovey, the world-renowned leader in helping organizations enhance individual effectiveness, this edition fully reflects today’s online media and global business challenges. The only style guide used in FranklinCovey’s own renowned Writing Advantage™ and Technical Writing Advantage™ programs, it covers everything from document design and graphics to sentence style and word choice. This edition’s many improvements include extensive new coverage of graphics, writing for online media, and international business English. Through dozens of examples and model documents, writers learn how to overcome “writer’s block” and efficiently create documents from start to finish. FranklinCovey’s experts show how to get powerful results from every email; add distinctiveness and power to any online presence; write far more effective proposals, letters, memos, reports, and resumes; and improve all forms of documentation, from business procedures to highly technical content. I haven’t posted in the past few days because I’ve spent most of my free time trying to catch up on Homestuck. What is Homestuck? Good question, but there is no good answer. It could be called a web comic, but it so much more than that. Homestuck incorporates comics, animated gifs, text, Flash movies and Flash games in an epic undertaking that is, to date, upwards of 5000 pages in length. The story begins as the tale of four teenagers who play the beta version of a computer game, Sburb, and inadvertently bring about the end of the world. They manage to escape to an alternate plane where a higher destiny awaits each of them. Oh, and there are trolls. And these trolls are immensely popular. The core audience is teens and young adults, called Stuckies, and they are obsessed with it. Homestuck is popular among the cosplay crowd at anime and comic book conventions, even though it exists only on the Internet. Here are some photos I took at Fanime 2012 in San Jose, CA. Mike Rugnetta of PBS’ Idea Channel likened Homestuck to James Joyce’s Ulysses. I think he’s got a point. Check out the video below to get some idea of what the deal is with Homestuck. Confused? Don’t worry. You’re supposed to be. Homestuck has a wiki, of course. It’s helpful, but dense, with layers upon layers of information. It’s a useful guide for when the story winds back around on itself and you’re trying to figure out who or what a certain character and/or thing is. Homestuck is part of a larger work called MS Paint Adventures. The creator, Andrew Hussie, wrote and drew three other interactive comic adventures before beginning on what became his masterpiece. I’m on Act 4 and there are currently six acts with at least one more to go. On top of that, Mr. Hussie has decided to create a Homestuck game. To raise the money, he’s appealed to the Stuckies with a Kickstarter fundraising page. The primary goal was to raise $700,000 in a month, starting on September 4, 2012. As of this post, he has raised over $1,155,000. Pretty impressive and a testimony to the popularity of Homestuck and the strength of the fan base, especially considering the game won’t be delivered until June 2014. So, if you’re looking for something to read/watch/play/experience or are interested in exploring a cultural phenomenon, you might want to check out Homestuck. I’m also a fan of Barry Eisler himself because he’s one of those successful authors who generously help other writers. So, if I see his name on something, I’m inclined to check it out. 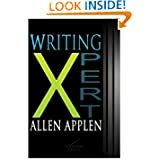 Today, I found a newbie writers’ guide among the Amazon freebies. The forward is written by Barry Eisler. 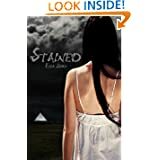 The book itself is by scifi/suspense/horror author J.A. Konrath. It seems to be a compilation of posts from his blog, A Newbie’s Guide to Publishing. The book is very long, 1100 pages, but it looks like the kind of material you can cherry-pick for what you need. I also found a grammar book that helps “identify and fix the ten most frequent grammatical errors.” When I write, I want to let the words flow, get the story out, and worry about the fiddly bits later. Problem is, it is easy to miss those bits because they can be hidden by spell checkers, skipped over by fatigued eyes, or not recognized as errors. I like the sound of this book because it focuses on the fiddly bits of grammar. Are you a writer? This book was written for you. It doesn’t matter if you’re just getting your ears wet and learning your craft, or if you’re a seasoned pro with an extensive backlist. 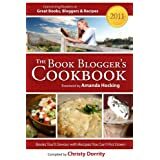 The Newbie’s Guide to Publishing contains all of the information you need to understand the writing business and maximize your sales and success. There’s over 370,000 words of writing advice, tips, tricks, and observations. It also includes a foreword and several bonus essays by bestselling author Barry Eisler.